In news that we all expected to hear eventually, beloved geek auteur Joss Whedon has agreed to return for the inevitable sequel to this summer’s biggest movie, The Avengers. The announcement was made by Disney CEO Bob Iger during the company’s earnings conference call this morning, and though Iger offered no further details on the second Avengers movie he did mention that Whedon would have a hand in the upcoming Marvel Comics-based TV show planned to appear on ABC. If your immediate reaction to this news is to cheer politely, then roll your eyes at anyone who didn’t see this coming, you’re not alone. The Avengers raked in a frankly obscene amount of cash at the box office (Box Office Mojo currently pegs the total at just under $1.5 billion worldwide) and since Hollywood is no longer run by secret Communists it only makes sense that Disney and Marvel Studios would want to reassemble the crucial pieces of that film for a second movie. 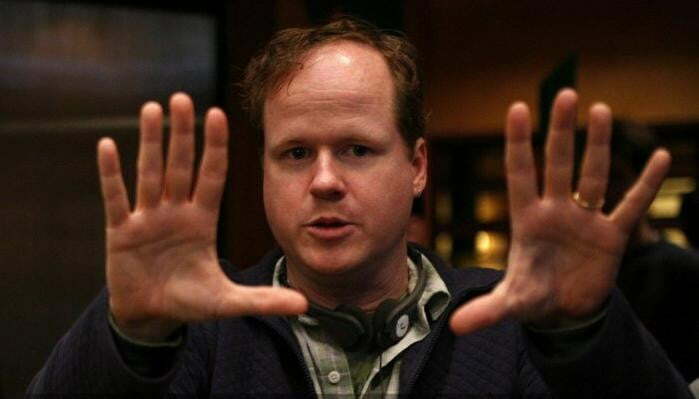 While obviously this includes The Avengers’ massive cast of superheroes, a good deal of the first film’s success should be attributed to the man who both wrote and directed the flick: Joss Whedon. Though we don’t know the specifics of Whedon’s deal with Marvel, it is known that he will both script and direct The Avengers 2. Likewise, though we know nothing about the movie’s plot, we feel safe to assume it will feature Thanos as key antagonist (as prophesized by this post-credits stinger). With so little new information to go on, it’s tempting to speculate wildly on the direction Joss Whedon will take with this movie, so let’s do that. Given the success of Whedon’s first Avengers flick we’re going to assume that Marvel will give the auteur far more freedom to tell whatever story he’d like with the sequel. That, plus the inclusion of Thanos, and the obvious involvement of The Avengers themselves has us cautiously hoping that The Avengers 2 will be an adaptation of Marvel’s classic Infinity Gauntlet saga. Though the 1990s were something of a low point for comics as a whole, this 1991 crossover event was a massively epic tale featuring a literally god-like enemy battling the most powerful heroes in the Marvel universe en masse. It effectively cemented the modern notion of who and what Thanos is — previously he had still been at least partially seen as a satire of DC Comics’ Darkseid since, well, that’s what he was created to be — and showed that there are foes capable of giving the most powerful of superteams a run for their money, while also spinning an interesting, compelling saga. As we’ve pointed out though, an adaptation of the Infinity Gauntlet storyline would almost necessarily require numerous other Marvel characters to be introduced to audiences. We have faith that the studio could pull this off (especially with Whedon’s writing chops at its disposal), but it would take years of additional film production to bring the general public up to speed on the extensive fiction that goes into telling this tale. Alternately the film could play fast and lose with certain plot details, but with Marvel Studios attempting to build a functional film universe that mirrors its comic book canon we doubt the powers that be would want to excise too much necessary information. Then again, we know nothing about this movie, so take all the above speculation with an elk-sized salt lick. We’re just spitballing ideas at this point, and welcome your theories in the comments below.